Single storey detached house set within the grounds of the A-listed Inchmartine House. 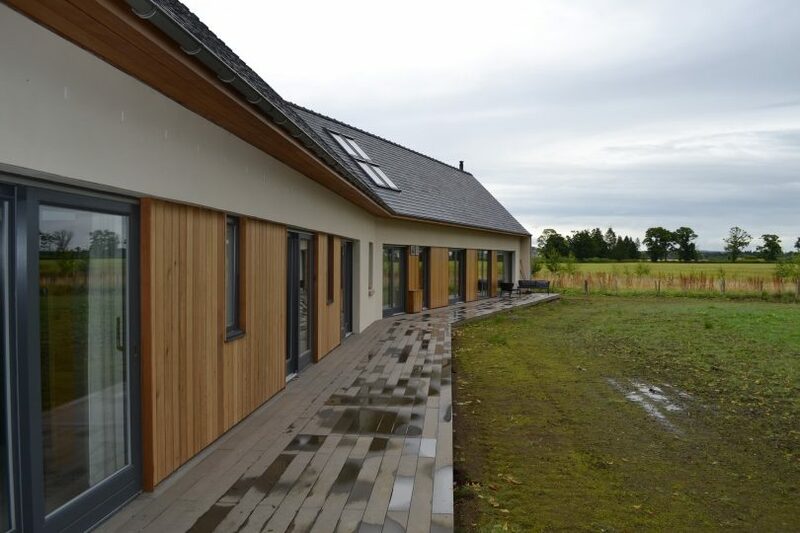 This is a single storey design to maximise views over The Carse of Gowrie and also to maximise solar gain for morning and evening light. 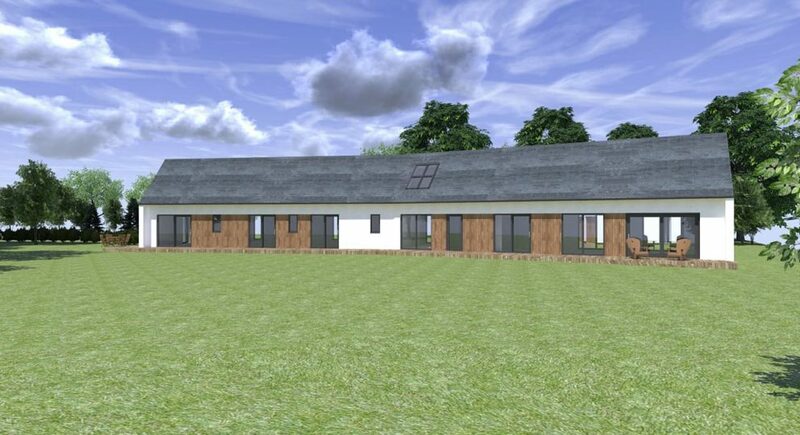 The single storey was also a reaction to the close location of the A-listed Inchmartine House. Entered from the north along a stone clad elevation. This allows the south elevation to be mainly glass. A subtle kink in the plan at the entrance area set outs the two wings, one being living space and other sleeping accommodation. The living space opens out with a cathedral roof and large areas of glazing. All rooms have access to the large timber deck to the south. 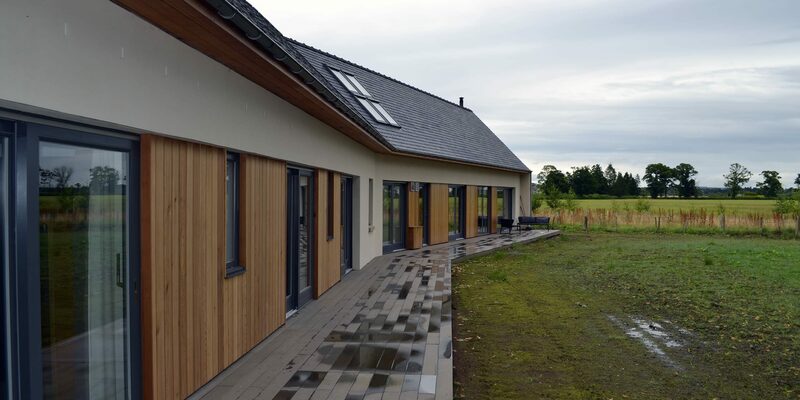 The property benefits from a high level of insulation, mechanical ventilation & heat recovery system and ground source heating, to create a low energy house.